The diet of the native canine was quite simple, consisting mainly of the prey they hunted. 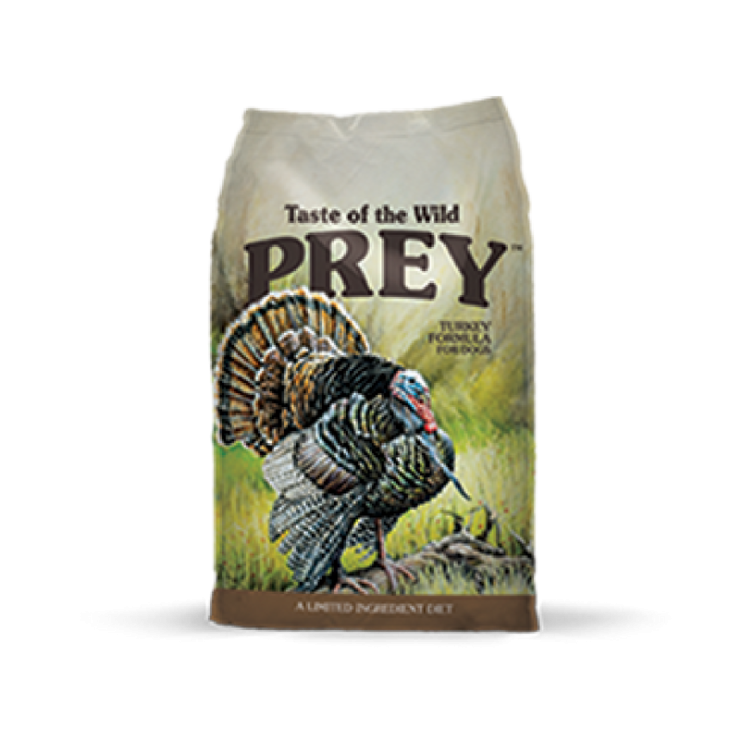 A simple, limited ingredient diet like Taste of the Wild Prey Turkey Limited Ingredient Formula offers many benefits. They can be easier for some dogs to digest and may be ideal for dogs who have experienced sensitivities to certain ingredients. PREY Turkey Formula for Dogs features cage-free turkey as the first of just four key ingredients, followed by lentils, sunflower oil and tomato pomace which provide antioxidants, omega fatty acids and important nutrients such as DHA. Finally, guaranteed, species-specific probiotics help support digestion and carefully selected vitamins and minerals ensure your dog gets the simple yet complete nutrition he needs, without the hunt.